Initially it was decided that the Sports Ministry would be in charge of the Games but subsequently a GoM suggested that the Organising Committee would be in charge and the Sports Ministry will be the nodal ministry. 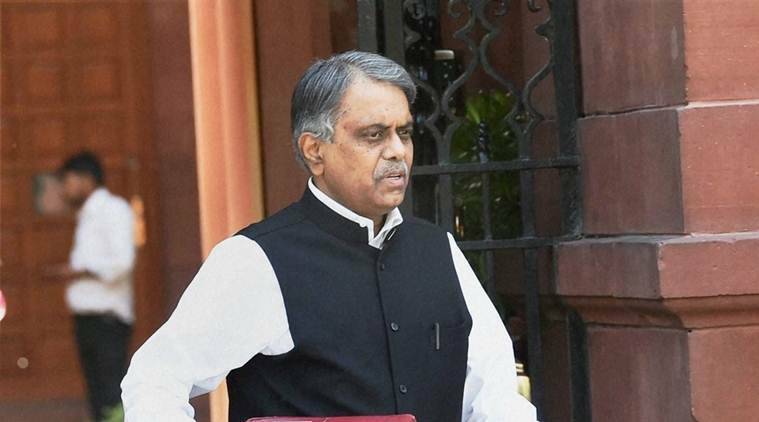 Six years after the Commonwealth Games (CWG) was held in Delhi, Cabinet Secretary P K Sinha has told the Public Accounts Committee (PAC) that the Cabinet secretariat was not intimated about the “changes” in the original draft minutes of a decision taken by a GoM chaired by the then Prime Minister Manmohan Singh in 2004 for the creation and development of infrastructural facilities for the Games, and that the changes were communicated to the PMO directly. The panel now plans to call up the Principal Secretary, PMO, to understand why the secretariat was “bypassed” and not let in about the changes. At least three members of the PAC, whom The Indian Express spoke to, confirmed the deliberations. “We discussed who took the decision to give full power to the organising committee, at which level the decision was taken, and whether the Cabinet Secretary was aware about it?,” said an official. The panel has completed its deliberations on the matter and is set to finalise its draft report. Coming right before the Winter Session, the issue is likely to generate some heat in Parliament. The CWG 2010 had kicked up a massive storm, landing the then President of the Indian Olympic Association Suresh Kalmadi, a Congress MP, in jail. Kalmadi was the chairman of the Organising Committee for the 2010 CWG. Besides the Cabinet Secretary, Home Secretary Rajiv Mehrishi, Sports Secretary Rajiv Yadav, CBI Director Anil Sinha and Delhi Police Commissioner Alok Kumar Verma appeared before the Public Accounts Committee on Thursday and briefed the panel on various complaints and irregularities related to the Games. There are indications that the PAC may recommend action against some government officials as well some part of the then Organising Committee but there is no clarity on what view the PAC will take on Kalmadi. “The highlight of the meeting was how the entire management went to the Organising Committee,” said a PAC member.